The good thing about an album like A Song for All Seasons, successful in its time and not quite so well remembered anymore, is that it still offers scope for critique from a fresh perspective. There's precious little to be said about Dark Side of the Moon or In The Court of the Crimson King that hasn't already been said in the multitude of reviews written about those albums. I have tried to pin down the reason why A Song for All Seasons, and Northern Lights in particular, broke through in a way no other Renaissance album before or after it could. I think I have found some answers that resonate at least with my own views of the album. I would like to elaborate it below, with the warning that it's going to be long! The difference between previous Renaissance albums and A Song for All Seasons is underlined by the simple but catchy bit of acoustic guitar that opens Northern Lights. Renaissance songs had incorporated guitar before, to be sure. But what's different about Northern Lights is guitar is set to an appealing rhythm. I don't even mean beats, as in actually performed on percussions. Just the rhythm itself will suffice. Northern Lights doesn't just sound grand or pretty unlike so many Renaissance songs; it also has a pulse, something to which you can snap a finger. Since at least the 60s, rhythm has played a pivotal role in the evolution of mainstream music. I am a firm believer that, barring pioneers and first movers like the Beatles, bands usually taste commercial success when they move their sound a little bit (or more, as applicable) to where they are closer to the mainstream. As Kevin Gilbert sang on City of the Sun, "Make it so we might understand". From "Can You Understand" to "Things I don't Understand", Renaissance decisively moved to a place where the mainstream could understand. The catchy rhythm is backed by a simple but elegant melody with a pleasing emotional arc. The refrain of longing in the song is balanced out by an optimistic bounce, once again a welcome change as far as Renaissance songs go. It of course does take Annie Haslam's sublime delivery to make a promising song a memorable and haunting one (listen to the great Judith Durham's well sung but somewhat over vehement cover and hear the difference). A difference which is further brought home when Jon Camp's weak delivery mars the otherwise interesting Kindness in the End). But the other song where the 'new Renaissance' present themselves is Day of the Dreamer. Once again, the use of accentuated piano chords adds a pulse to what might otherwise have been a typical Renaissance intro. Plus, notice how brief the intro is, quickly making way for drums and the orchestra to accompany vocals. An overall sunny, bouncy orientation helps make all the orchestral pomp more appealing than before. Any danger of the song getting generic and lacking character is stamped out by Annie's brilliant rendition of the verse that follows the interlude. These characteristics are not necessarily shared by the other songs on the album. The title track in particular features one of their longest instrumental intros, though the urgent tempo, dark mood and dramatic vocal melody add a touch of freshness. Back Home Once Again and Closer Than Yesterday reflect a Novella hangover, though they are not without merit. Even in these songs, though, a change is observed in the increased use of synthesizers. 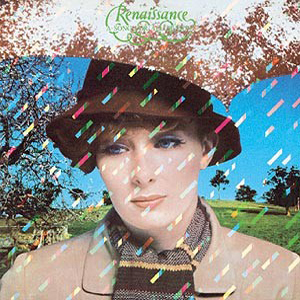 In a nutshell, Renaissance sound more British on this album than on any of the previous mk-ii albums. It is no wonder that A Song for All Seasons was their most successful in Britain even as it fared worse than Novella in America. The album was produced by David Hentschel, who also produced Wind and Wuthering, and it could be said that Song for All Seasons offers a more optimistic and sunny, if less complex, approach to a Wind and Wuthering like mood. Whether the band themselves grasped the significance of this change is an interesting question. People who were there at the time say the band did not back up their studio success with as much touring in Britain as they perhaps ought to have. The follow up Azure D' Or seems to have been promoted more enthusiastically in America rather than Britain. Renaissance reposed their faith in their largest catchment of fans, but not all of these fans perhaps were listening as their band began to sing different tunes. They also didn't ever follow up on the peculiar qualities that made Northern Lights taste charting success. It would probably be fair to assume Northern Lights as well as Dreamer were products of spontaneous inspiration which the band didn't quite understand how to emulate, much as they wanted another Northern Lights. In a recent interview, Annie herself characterised Northern Lights as a more commercial sound (not in a derogatory sense, mind). Placing it in the commercial box doesn't quite do justice to why it succeeded where their later attempts at following New Wave trends failed spectacularly. For the first and possibly the last time in their career, Renaissance made music that lives and breathes of its own without requiring Annie's expert intervention (ironic, considering Northern Lights was based on her relationship with Roy Wood). Clearly not a masterpiece of prog and even as far as 'essential albums' go, there are at least a fair few four-star albums I would take over this one. It is still an essential addition to a prog rock listener's collection if only to understand what Renaissance could do and perhaps could have done had they followed a different approach to their music.